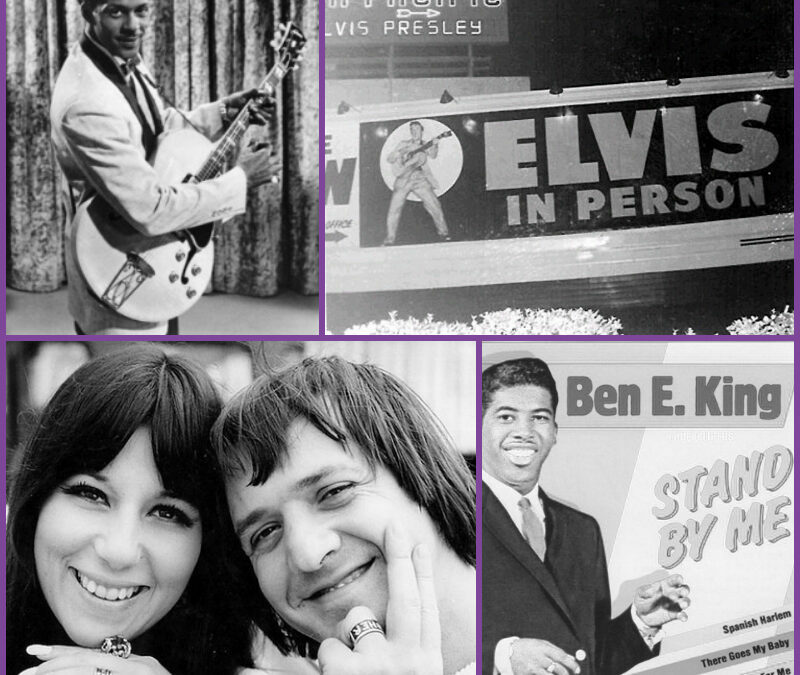 This Week In Music History – Chuck Berry, Elvis, The Beatles, Sonny & Cher & More! 1928: A candle starts a fire in a gypsy caravan in France. The left hand of 18-year-old guitarist Django Reinhardt is badly burned, rendering two fingers useless. With his right leg also injured, Django is bedridden for 18 months and uses the time to rebuild his guitar chops so that by the mid-1930s he is a master of swing guitar and ultimately becomes recognized as one of the greatest guitarists in any genre. 1952: St. Louis R&B pianist Johnnie Johnson hires a young guitarist by the name of Chuck Berry who will keep his day gig as a hairdresser for the next three years while playing out at night. The combination of Berry’s blues licks infused with rockabilly and country influences, and Johnson’s rollicking barrelhouse piano will prove a winning combination that’ll move millions of records to become one of the first crossover acts as the pair stakes out the new musical territory called rock ‘n’ roll. 1957: Elvis is warned prior to a show at L.A.’s Pan Pacific Auditorium that he may be prosecuted for lewd behavior if he shakes his hips during his performance. Members of the LAPD’s vice squad film the show but apparently give The King a little wiggle room since no charges are filed. 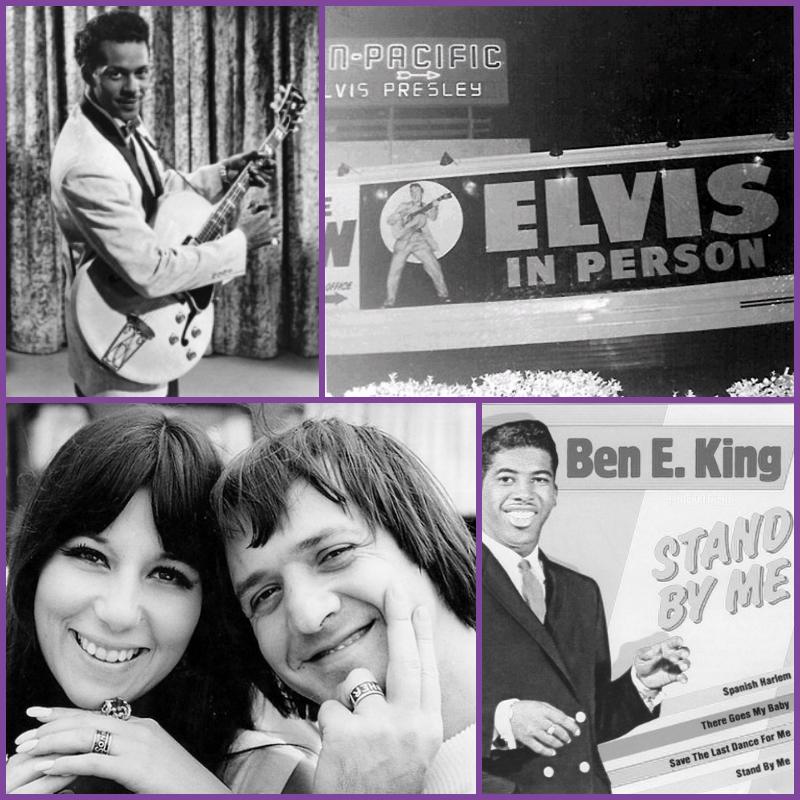 1960: Ben E. King, former lead singer for The Drifters, records his first solo numbers, “Spanish Harlem” and “Stand by Me”. Both songs climb high on the pop charts, to number 10 and number 4 respectively, and will prove to have long legs, spawning countless covers over the years. 1961: A customer tries to buy a German-released Beatles single, “My Bonnie,” at the NEMS record shop in Liverpool. The store’s manager, Brian Epstein, says he’ll look into getting it. The rest, as they say, is history. 1964: 31-year-old Salvatore Phillip Bono marries 18-year-old Cherilyn Sarkisian La Piere. They’ll perform as Caesar and Cleo for a time, but won’t strike chart gold until they become Sonny and Cher. Tino Productions was recently heralded as “The best sounding and most versatile band on West Coast” by Southern California’s own Orange County Register. Whether you’re a newly engaged bride planning your upcoming wedding, a wedding planner looking for a reliable vendor partner who will make you look brilliant, or a corporate event planner looking to put together your next big gala, Tino Productions can design the perfect musical performance. Serving Orange County, Los Angeles County and surrounding Southern California areas, we specialize in taking your wedding, event, party, fundraiser or corporate party, to another level of style and entertainment. We pride ourselves on creating an experience that will leave your guests talking, long after your event is over. Contact Tino at (949) 533-1006 for booking & arrangement options to make your next event the very best it can be!